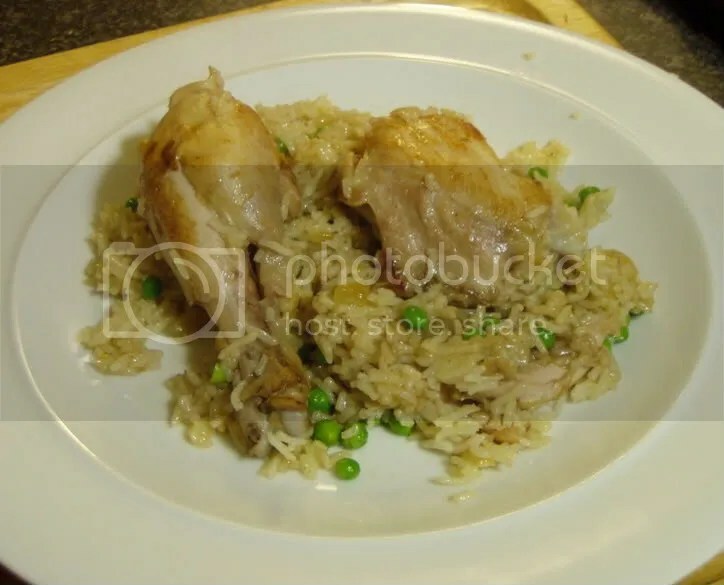 I make variants over this dish myself; pilaf and/or hen fricassee. It’s much quicker to cook with chicken – looks like a good alternative for when you are short on time. I like adding a bit of turmeric to my pilafs – the the yellow contrasts with the green peas and is a little more exciting for kids. Also good for you! Tumeric for yellow rice – yes, a very good idea. It can look a bit bland and pale otherwise. And shoo with your tinned chicken! I cook this rice but as I am not a big lover of green peas I add a tin of drained champignons instead with saffron for colour. Delicious!